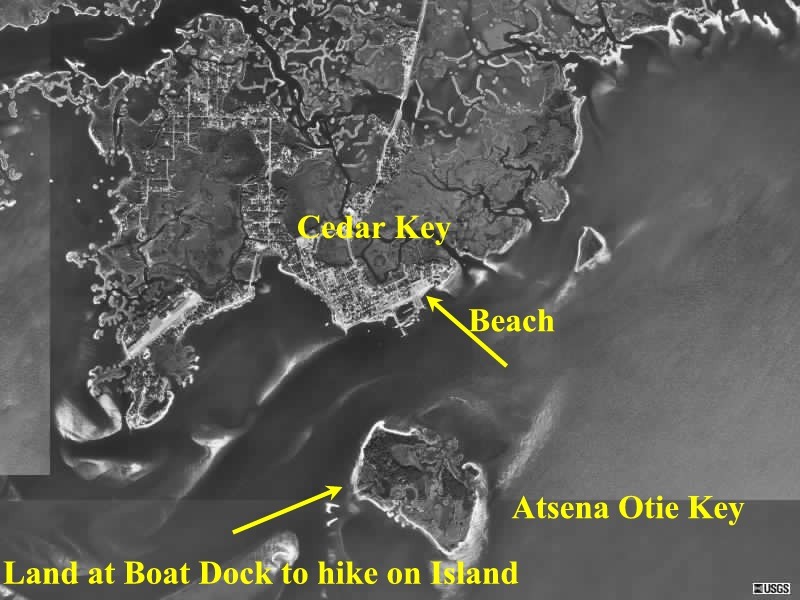 Founded in 1842 as a resort for wealthy planters, Cedar Key became a center for pencil manufacturing when the Eberhard Faber Pencil Company bought huge tracts of land, for 50 cents per acre ($124/km²), in 1855. 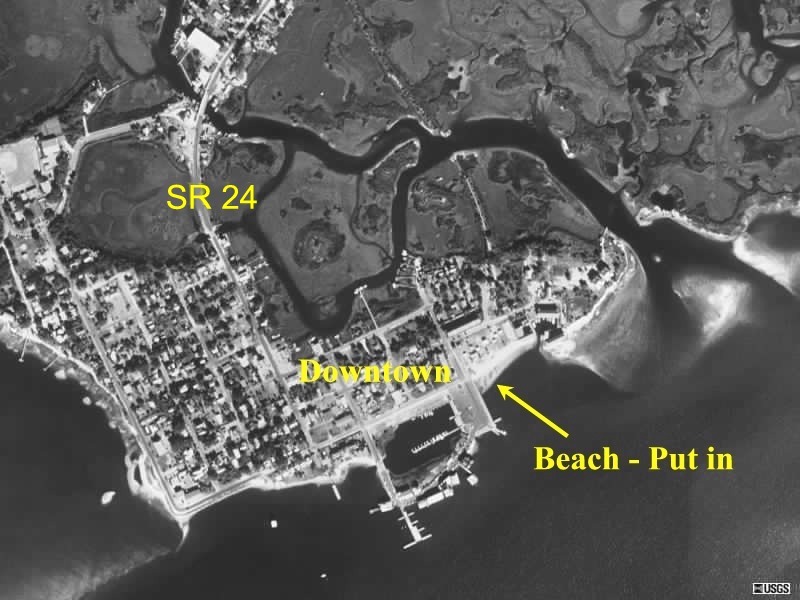 The town was originally located on an outer island locally known as Atsena Otie, but was rebuilt on a more protected island after a terrible hurricane struck at approximately 4 a.m. September 29, 1896. Today there are a few remnants of the original town on Atsena Otie, including stone water cisterns, and a graveyard whose headstones conspicuously date from only before 1896. There are also many of the juniper (Juniperus virginiana subsp. silicicola) trees that originally drew the pencil company. 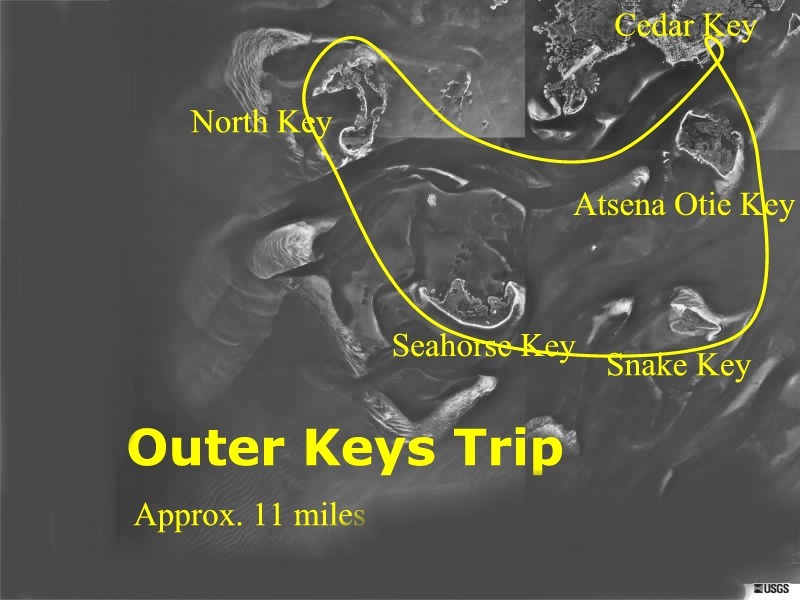 These were misidentified as cedars by early settlers, hence the name 'Cedar Key'. The old-fashioned fishing village is now a tourist center with several regionally famous seafood restaurants. The village holds two festivals a year, the Spring Sidewalk Art Festival and the Fall Seafood Festival, that each attract thousands of visitors to the area. In 1950, Hurricane Easy looped around Ceday Key 3 times before finally making landfall, causing severe damage to the small community. After a statewide ban on large scale net fishing went into effect July 1, 1995 a government retraining program helped many local fishmen begin farming clams in the muddy waters. Today Cedar Key's clam-based aquaculture is a multi-million dollar industry. A local museum exhibit displays a reproduction of one of the first air conditioning installations. The system, with compressor and fans, was used in Cedar Key to ease the lot of malaria patients. It is certainly hot and humid in the summer. It is home to the George T. Lewis Airport (CDK).